At a projected rate of 32 percent through the year 2020, employment of pharmacy technicians is growing much faster than the average for all other occupations. 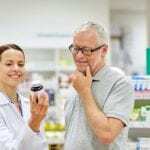 A steady growth of the middle-aged and senior population and their use of prescription drugs is the primary reason for the demands for pharmacy technicians during the projected period. Advances in technology, leading to new and improved drugs and better prescription drug coverage will also create new opportunities for pharmacy technicians. Pharmacy technicians work in hospitals, mail order pharmacies, community pharmacies, and home health care pharmacies, to name a few. Training and certification prepare technicians to meet the demanding role, which includes ordering and stocking medications, interpreting and recording prescriptions, dispensing medication, preparing IV admixtures and medications, calculating dosages, and labeling containers. Delaware’s Board of Pharmacy defines the roles and responsibilities of pharmacy technicians and specifies the requirements for working legally in the state. Delaware State Board of Pharmacy does not register, license or certify pharmacy technicians. 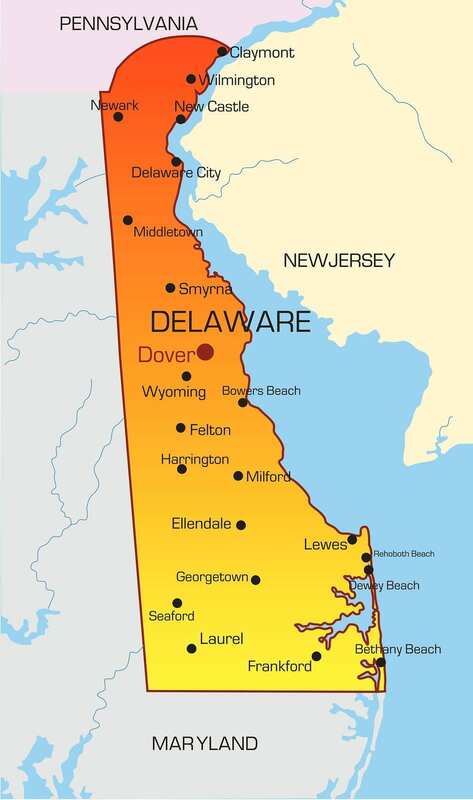 Like a few other states, Delaware has not adopted legislation to govern the activities of pharmacy technicians. For this reason, pharmacy employers have to exercise diligence and enforce stringent policies to hire, train, and monitor pharmacy technician employees. Pharmacy technicians carry out their assigned duties under the immediate supervision and control of a licensed pharmacist. Therefore, the pharmacist and hiring pharmacy are liable for any errors on the pharmacy technician’s part. 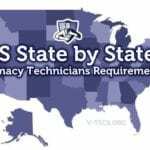 Although state regulations do not require registration, there are specific requirements for pharmacy technician training and duties. Pharmacy technicians must complete training, provided by a pharmacist-in-charge or trained pharmacy technician, within 90 days of employment. The pharmacist will maintain a policy and procedure manual and detail the contents of the training program in writing. Certified pharmacy technicians (those who pass the PTCB or other recognized national exam) can assist with advanced duties, such as reconstituting oral solutions and contacting the prescriber to obtain refill authorization. Pharmacy technicians who complete a Board-approved training program in lieu of passing the PTCB exam or other national certification may perform the functions of a Certified Pharmacy Technician with prior Board approval. The Board’s approval for the defined activities is not transferable to another facility. Certified pharmacy technicians must be at least 18 years old to practice legally in Delaware. A high school diploma is advantageous when beginning a career as a pharmacy technician. Employers will request it from prospective employees, and it’s also a requirement to pursue national certification through the PTCB and other certifying agencies. 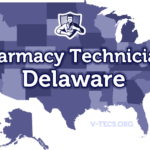 The Delaware State Board of Pharmacy requires all pharmacy technicians to acquire pharmacy technician training in preparation for the role. The training could be administered by the pharmacist-in-charge at the technician’s place of employment or through a formal program approved by the Board. The state does not require pharmacy technicians to undergo a criminal background check before hiring. However, employers, in accordance with federal regulations, may request details of a candidate’s criminal history on the application for employment. Employers may also request a criminal background check to ensure that prospective employees have no criminal convictions or felonies, especially those related to the use of controlled dangerous substances. Delaware requires pharmacy technicians to complete a training program. There are two options for training: employer-provided provided or those afforded through traditional institutions, such as vocational schools and colleges. The pharmacy must maintain an outline of the curriculum and the details of the policy and procedures on file. Training programs at institutions, such as the Delaware Technical Community College, cover didactic, laboratory, and a clinical externship to prepare graduates for work in both retail and hospital settings. The didactic training in the classroom covers much of the same topics at employer-provided programs. The clinical externship affords students the opportunity to work in a real-world setting under the guidance of a pharmacist and other trained technicians. Before commencing the externship, the training provider may require students to undergo a criminal background check and pass a drug and TB test. The average cost of pharmacy technician training in Delaware is $1,980. The Certified Pharmacy Technician program at Delaware Technical Community College prepares students for the PTCB exam. As such, the advertised cost of $3,195 includes tuition, uniform, books, drug screening and certification with the PTCB – provided that the students fulfills all the requirements. Adult Education programs, such as the one offered at PolyTech, do not include expenses such as immunization, uniform, textbooks, drug screening, and criminal background check. However, the course is partially funded by the Delaware Workforce Investment Board. The duration of paid programs ranges from 80 hours to 350 hours, which equals 2 to 6 months of training. For free training options, you can apply for employment at community pharmacies and train under the guidance of a licensed pharmacist. As industry standards increase and the role of a pharmacy technician expands, it is even more important for employer-trained pharmacy technicians to pursue certification, which will give them a competitive edge and portable skills in a growing industry. The State Board of Pharmacy recognizes pharmacy technicians who complete the PTCE, developed by the PTCB. They are classified as Certified Pharmacy Technicians and can assist pharmacists with the reconstitution of oral solutions and contact a prescriber to obtain authorization for refills. After the PTCB approves your application for testing, you can schedule and take the test at any one of the 200 Pearson Vue testing centers across the United States. The certificate expires every 2 years, and you must fulfill the continuing education requirements of 20 units and pay the renewal fee of $40 to renew your certification.